screenprint on heavy wove paper , c 1970s, with an independent, authentic Andy Warhol signature on separate card framed together with the print. , numbered verso 013/250, from "The blue edition" , As published by Sunday B Morning, Belgium. Condition:In very good condition, the full sheet. Framing: Sold unframed, but with two opening mat to display signature and print. 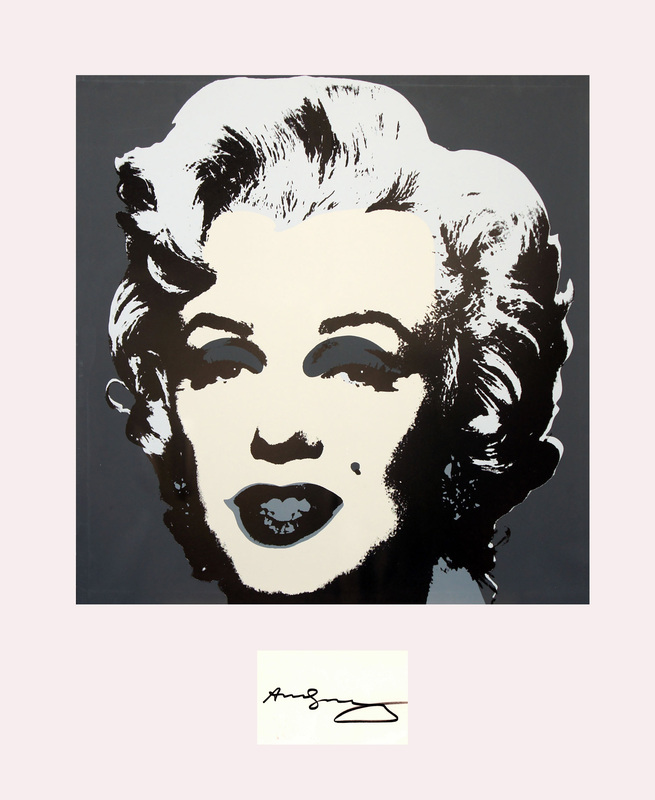 The item being sold here consists of two independent objects framed together.Warhol did not append the signature to the print, it is an authentic independent signature on note card which is framed with the print. 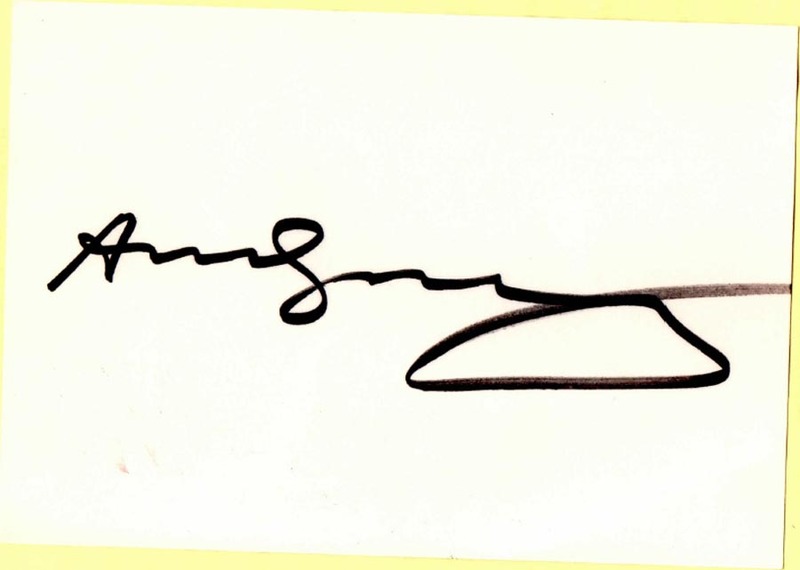 The signature was obtained by Dr. David Luisi in the seventies as part of a letter/post card collection he assembled by writing to many artists of that era. We sold the bulk of his collection in August of 2012. Shown with the Black and silver coloring background image. Four other images are available " and can be substituted for the one shown. However there is only one signature available.